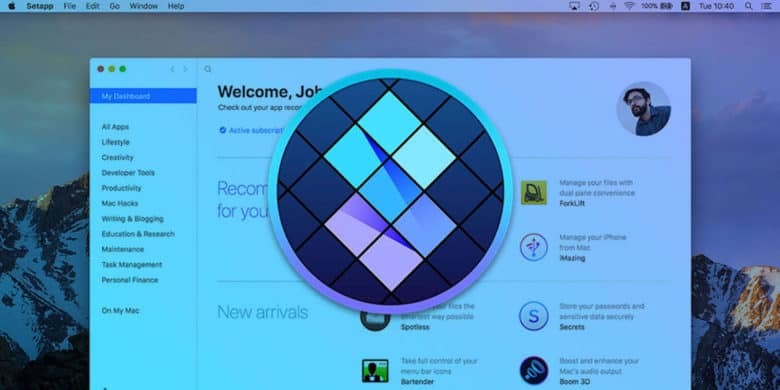 This Mac app subscription service removes a lot of the headache of shopping for software and keeping them up to date. Browsing the App Store can feel like staring into an endless abyss. With so much software to choose from, it’s hard to know where to start. So it makes sense that the Netflix-style subscription model has come to offer an alternative to scrolling through an endless stream of apps, prices and reviews. What better to celebrate this Cyber Monday than with a present to your trusty Macs? While we might only surf the web, finish some spreadsheets, or watch Netflix, our Macs can do more than just that. 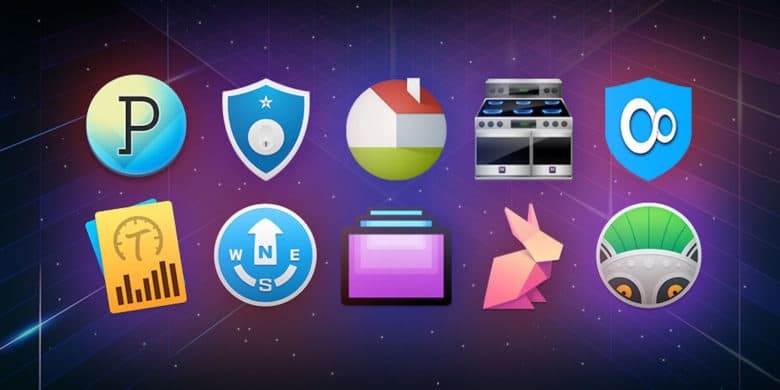 The Pay What You Want Cyber Monday Mac Bundle features 10 Mac apps that you will use on an every day basis. Whether you want to quickly find your files or touch-up photos with just one click, this Mac app bundle is perfect for this Cyber Monday. 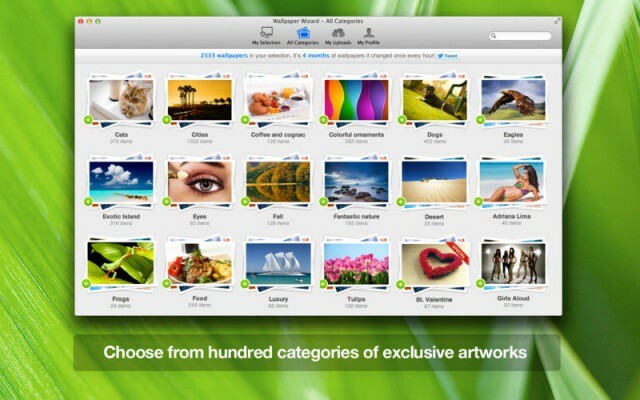 Wallpaper Wizard features over 100,000 high-resolution wallpapers for your Mac. Struggling to find beautiful wallpapers for your new MacBook Pro’s high-resolution Retina display? With Wallpaper Wizard for Mac OS X, you can browse over 100,000 high-definition wallpapers with resolutions up to 2880 x 1800 all in one place, saving only the images ones you want to keep. And best of all, Wallpaper Wizard is today’s Two Dollar Tuesday pick, meaning it has 80% off its normal $9.99 price tag. My favorite deals are the app bundles. A bunch of great apps for a sweet price. Today we have a great mini bundle for you that gives you eye candy (10,000 HD wallpapers! ), security (lock down apps on your Mac—great for shared machines! ), cleaning (uninstall apps so they are really all gone), entertainment (convert videos to watch on the go), and some back talk (voice narration software) for one low price. 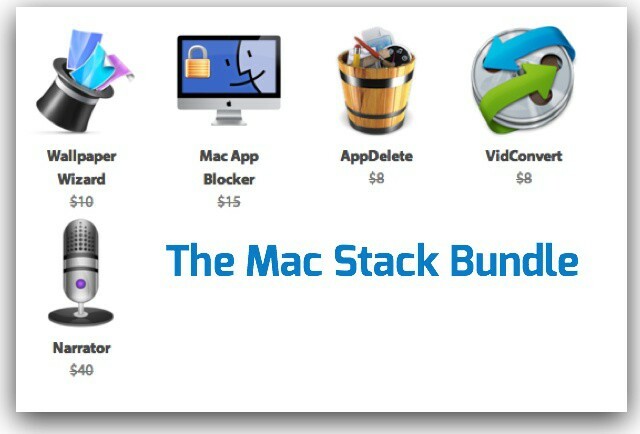 The Mac Stack Bundle give you a nice, inexpensive pack of useful tools for $20. Simple, easy, and done.